Desserts: Choose a fresh cheese and fruit board over heavy dessert, laced with sugar. For example choose a merengue, topped with lots of refreshing fruit over a heavy cheesecake. Drinks: Alternate your beverage of choice with sparkling water in between drinks. If drinking choose, a white based spirit with a soda mixer over a sugar loaded cocktail. Smart swaps: Choose fresh sushi over sausage rolls. Smart swaps: Instead of flavouring potatoes with butter. Try flavouring them with herbs and spices. Rosemary, thyme, oregano, cumin, or coriander ground have some great flavours with potatoes! It is highly important to recognise portion sizes during the festive season. 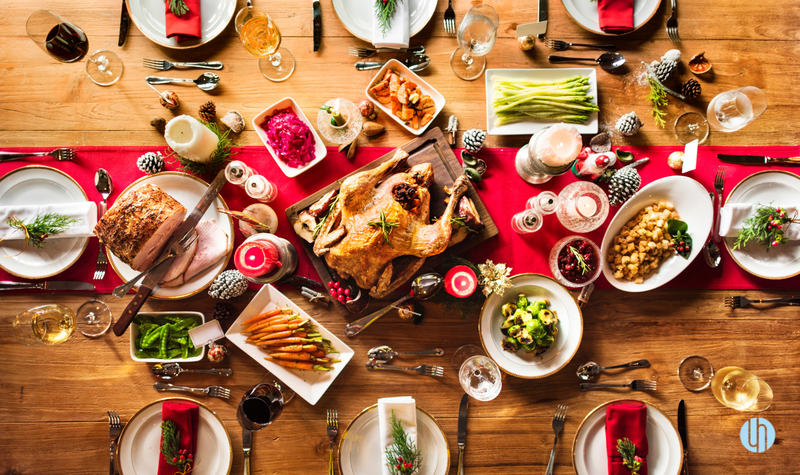 If you know you have a few Christmas events to attend, pace yourself, keep your water up and let your body digest your food to prevent overeating. A great way of doing this is with the addition of soothing teas like chamomile and ginger tea. Enjoy these smart swaps this holiday season.